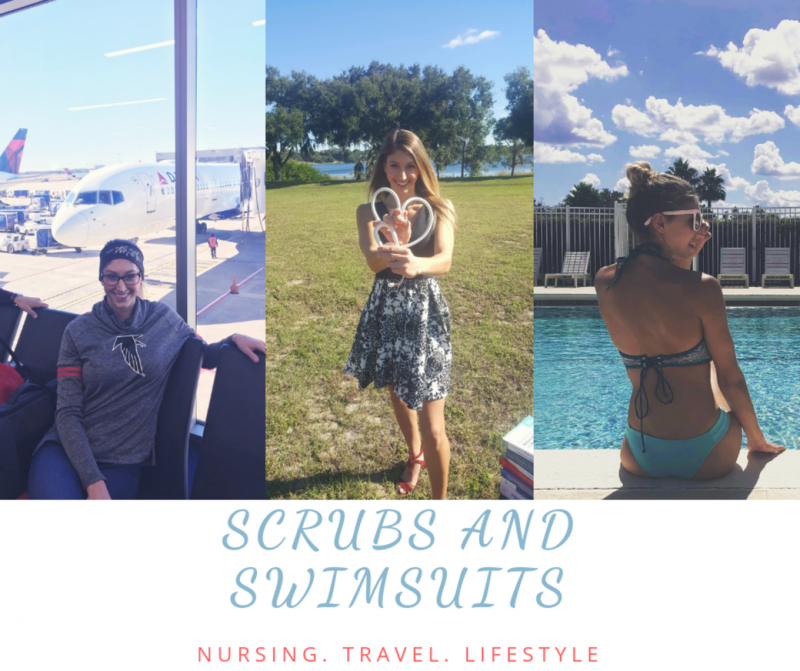 Day 21 of the #NurseBlogger challenge! Considering this is the “nurse” blog challenge, this blog was supposed to be my favorite thing about being a nurse. Unfortunately, I am not a nurse quite yet (3 months and 19 days, not like I’m counting or anything)! So, I am changing this blog post to my favorite thing about being a tech. As a nursing student, you watch what the technicians do in the hospitals and you pretty much think, “How could anyone do this forever?” Usually the patient load is in the teens, with what seems like most of the patients being total care patients, and the techs fall behind all day because they are stuck in 15 patient rooms doing bed baths. Um, absolutely not, no thanks. Basically the only job they offer nursing students in nursing school is a job as a tech. Most hospitals only have Med-Surg tech positions available, unfortunately. As a student, though, you are basically willing to take whatever floor they give you as long as they hire you as a tech. It’s only 1.5-2 years, just do it! I was willing to do whatever to get a job as a tech anywhere, because I knew the experience working in a hospital prior to becoming a nurse would help me tremendously. It’s true. I got super lucky in my hiring on as a tech because my hiring manager basically gave me a choice between which unit I wanted to start on and of course, I chose the emergency room! Originally I was looking for a position in the NICU because that’s where I thought I wanted to work, but with nothing available on that unit I chose the ER, and thank God I did. I started out in the ER literally dumb as a box of nails. I apologize to all the nurses I worked with in my first 6 months (literally) because I had no idea what I was doing! It was my first ever hospital job and the ER is chaotic and unpredictable. It took a lot of adjusting but it is the place I learn so much, possibly even more than in nursing school. I could never regret my decision to start out as a tech while in nursing school because it legitimately helps you in every aspect of nursing. I know that it will help me be more independent as a nurse. I will go into the hospital as a new nurse with so much more knowledge that if I were fresh out of nursing school. As a tech our jobs are to take vital signs, perform Accuchecks, clean patients, help with patient ambulation, assist patients to the bathroom, help feed patients (if needed), and assist in discharging the patient. In the ER I also help patients get undressed into their hospital gown, hook patients up to the heart monitor, draw blood, splint broken bones, perform CPR, discontinue IV’s, perform EKG’s, help with patient triage, assist with procedures, and even transport patients at times (on top of everything else the nurses ask me to do). My job is not easy. My job is not less work than anyone else’s. Normally as a tech I have 8 patients, sometimes more depending on staffing and my assignment for the day. Let me go get the nurse for you. It gets me out of so much lol. But, in just 111 days, I can’t go in a patients room and say “let me go get the nurse for you” because I will be the nurse that is the primary care provider for that patient, which is both exciting and scary. Working in health care is hard. It’s emotional. It’s stressful. Working in ER is all of those things plus it’s fast-paced. You lose your patience most days because of the idiocy of some people. You use critical thinking every day to determine what is the next priority for this patient so they can become stable and not die. When people ask me what my favorite part of my job is, I can’t think of just one thing. I love the team that I work with and how well (for the most part) we all work together without making anyone feel like they are in the way or their help is unwanted. My favorite part is that I get to help people, not because it makes me feel good (even though it does), but because it makes the patient feel good. My favorite part is that I learn something new every single day and I feel like every time I clock in, it is helping me to perform better as a nurse. I love every part of my job, even on the days that I hate it. For the most part, I look forward to working because I know that I work with a wonderful team. I’m very blessed to have my job and I encourage any nursing student to try and get themselves a job in the hospital working as a tech, because I promise you it will help you tremendously. Thank you for reading! Follow me on: Instagram.